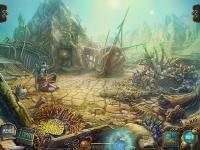 Azada: Elementa is an interesting hidden object puzzle game in which you must find the elemental mages in order to save the beautiful world of Azada. Panoptes will try to stop you to successfully finish your quest. Helped by a cute sidekick, you must do your best to defeat all evil forces. Based on 6 ratings. 6 user reviews.